The green one is mine Lynda. 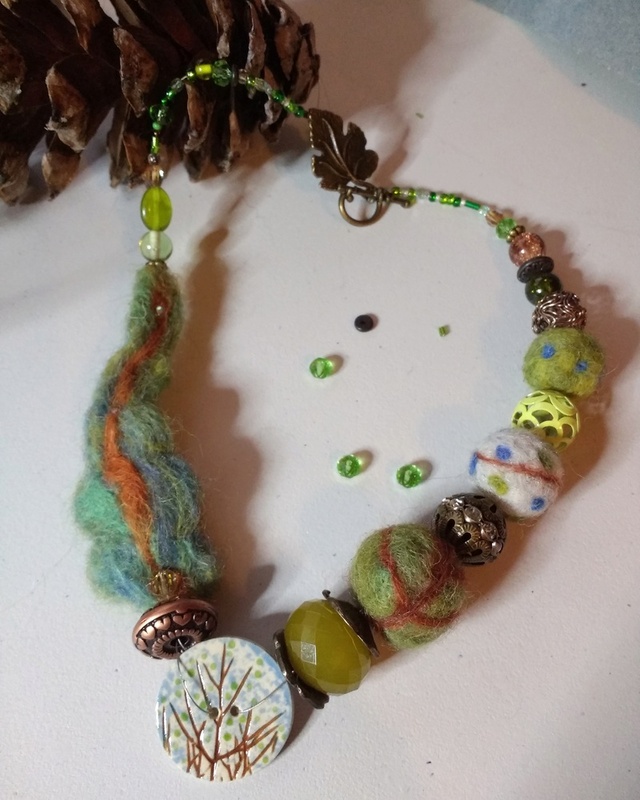 I started with the ceramic button and made the felt beads to go with it and then found other beads to compliment. 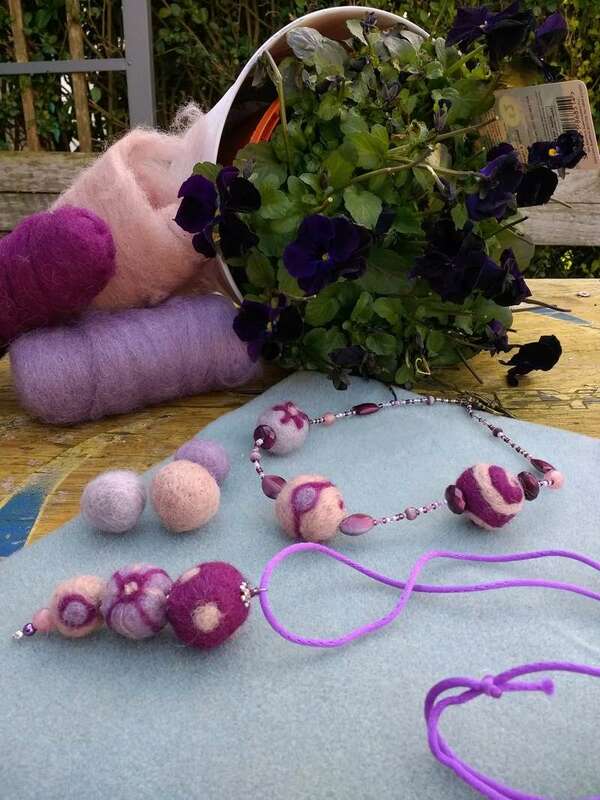 The pink ones are what I made to advertise the workshop. This is why it's too much of a coincidence that they could think of a NF jewellery class by themselves at Beehive. It's not something people associate with felting so much. Both lovely, Jo: your colour choices are superb! Very lovely, 1st place to the pinky pendant. Wow, these are lovely Jo, good luck with the workshop.